An Erie native, Kaitlin earned a Bachelor of Science in Natural Science from Daemen College in Amherst, N.Y., in 2011. She completed her Doctor of Physical Therapy degree, also at Daemen, in 2013 before joining the Hertel & Brown team at the Sterrettania office. 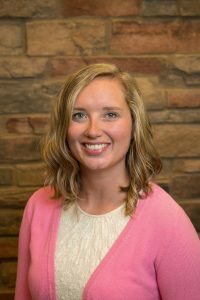 Kaitlin became the facility director of the Harborcreek office at the start of 2019. Kaitlin is certified in LSVT BIG, a comprehensive rehabilitation program to treat Parkinson’s disease and has completed additional training in helping adults recovering from strokes and hemiplegia. She enjoys volleyball, scrapbooking, reading and shopping.